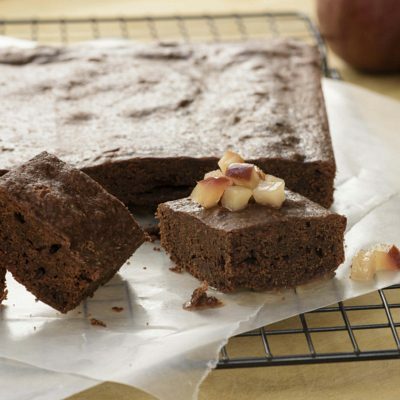 For pears: Place sugar, wine, cinnamon stick, peppercorns, and lemon zest in a small deep pan and bring slowly to a boil. Meanwhile, peel pears, leaving stems and scooping out flower ends with a melon baller. Immediately immerse pears in syrup, standing upright if possible. Set a small heatproof plate on top to keep them completely immersed in syrup. Bring just to a boil then reduce to simmer. 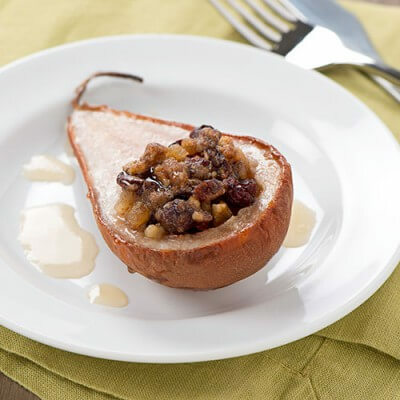 Cook until pears are tender when pierced with a knife, 30 to 40 minutes. Remove from the syrup. Reserve syrup for another use. Divide the pears among 6 plates. Drizzle with Vanilla Caramel Sauce and sprinkle over toasted peanuts. Serve immediately. Meanwhile, combine butter and heavy cream in a small saucepan. Heat until the butter melts. When the syrup begins to color, lower the heat, and continue boiling to a deep-golden color. It will darken rapidly. Remove the pan from the heat, and let it cool for 30 seconds. Add the butter and cream, being careful as the syrup will bubble up in the pan. Place pan back over heat, stirring until the caramel is completely dissolved. Add vanilla and stir to combine. Serve warm or at room temperature. Store the sauce in an airtight container in the refrigerator for up to 1 month; it will solidify. Reheat it over a double boiler or in a heavy saucepan over very low heat, adding a bit of warm water if it is too thick.